This is a comprehensive list of awards, honours and other recognitions bestowed on Nelson Mandela. Mandela received more than 260 awards over 40 years, most notably the Nobel Peace Prize in 1993. From 1994 to 1999, Mandela was President of South Africa. He was the first such African to be elected in fully representative democratic polls. Before his presidency, Mandela was an anti-apartheid activist and leader of the African National Congress and its armed wing Umkhonto we Sizwe. He spent 27 years in prison, much of it in a cell on Robben Island. The rest of his incarceration was in Pollsmoor Prison, on convictions for crimes that included sabotage committed while he spearheaded the struggle against apartheid. Following his release from prison on 11 February 1990, his advocacy of a policy of reconciliation and negotiation helped lead the transition to multi-racial democracy in South Africa. Since the end of apartheid, he was widely praised, even by former opponents. Mandela died on 5 December 2013, a celebrated elder statesman who continued to voice his opinion on topical issues. In South Africa he was often known as Madiba, an aristocratic title adopted by the elderly members of the royal clan that he belongs to. This title has come to be synonymous with Nelson Mandela. 1973 – A nuclear particle discovered by scientists at the University of Leeds is named the "Mandela particle". Honorary citizenship of Rome, February. London Borough of Camden Council, names the street where the Anti-Apartheid Movement has its headquarters as 'Mandela Street'. Awarded freedom of the City of Hull, United Kingdom. Street sign in Glasgow, Scotland. St George's Place in Glasgow, Scotland, the location of the South African consulate is renamed Nelson Mandela Place. Awarded the Cross of St. Andrew by Scotland. First person to receive the Freedom of the City of Sydney, Australia, 9 January. Awarded the Lenin Peace Prize for 1990, May. The last-ever recipient. Honorary Doctorate of Humane Letters from Texas Southern University in 1991. Named Person of the Year by Time magazine, together with F. W. de Klerk, Yasser Arafat and Yitzhak Rabin. Created Knight of the Order of the Elephant by the Danish Queen Margrethe II, Copenhagen, 18 February. By tradition of the order, the Knight's coat of arms is drawn on a plate and it is hung in the chapel of Frederiksborg Castle. If one hasn't a coat of arms (as was the case for Mandela), the Court heraldist composes one, with the Knight's cooperation. Mandela eventually chose the South African flag as his coat of arms to be used for this and other foreign orders. The elephant insignia that he received had previously been worn by Emperor Haile Selassie of Ethiopia. Created Knight of the Royal Order of the Seraphim, Stockholm, 3 February. By tradition of the order, the Knight's coat of arms is drawn on a plate and it is kept in the Hall of the Order of the Seraphim at the Royal Palace of Stockholm. If one hasn't a coat of arms, the Court heraldist composes one, with the Knight's cooperation. In this case, the Danish coat of arms was used as a starting point. By tradition, on the day of his funeral (15 December 2013), it was hung in Riddarholmen Church and the church bells rang constantly from 12:00 to 13:00 as a tribute. The National Stadium in Kampala, Uganda is named Mandela National Stadium, opened in 1997 with a concert by Lucky Dube. 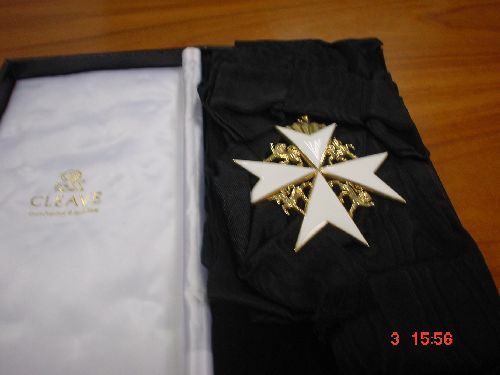 Appointed Honorary Companion of the Order of Australia, Canberra, 9 June; presented with the insignia by Australian Prime Minister John Howard in Pretoria on 15 November. Awarded the Franklin Delano Roosevelt Freedom Medal, Middelburg, The Netherlands, 8 June. Awarded the Order of Mapungubwe – Platinum Category by President Thabo Mbeki, Union Buildings, Pretoria, December 2002. Construction begins on the Mandela Parkway in Oakland, California, built after 1989's Loma Prieta earthquake demolished the Cypress Street Viaduct portion of the Nimitz Freeway. Sandton Square in Johannesburg, South Africa is renamed Nelson Mandela Square on 31 March with the unveiling of a 6-metre bronze statue. Zoologists Brent E. Hendrixson and Jason E. Bond named a South African species of trapdoor spider in the family Ctenizidae as Stasimopus mandelai, "honouring Nelson Mandela, the former president of South Africa and one of the great moral leaders of our time." Presented with the Honorary Degree of Doctor of Laws from Open University. The award was presented to him at his home in Cape Town by Professor Brenda Gourley The Open University's Vice-Chancellor (2002–2008) and former Vice-Chancellor of the University of Natal. New Statesman – Listed as the number 2 in the 50 "Heroes of our time". Awarded the Giuseppe Motta Medal for support for peace and democracy. The Westminster City Council agreed to erect a statue of Mandela opposite the Houses of Parliament in London. Honorary citizen of Belgrade, Serbia. "for his huge humanitarian past and contributions to mankind". Received the Order of the Smile, Poland, 26 October. Michigan State University LLD honoris causa. Received the Freedom of the City of Tshwane on 13 May 2008. In July 2009, Mandela received the Arthur Ashe Courage Award, presented by Venus Williams and Serena Williams. Accepting on his behalf were his daughter and grandson. In November 2009, the United Nations General Assembly announced that Mandela's birthday, 18 July, is to be known as "Mandela Day" marking his contribution to world freedom. Received Honorary Degree from Queen's University, Kingston, Ontario, 28 October. Conferred an Honorary Doctorate Degree by six universities in the Laureate International Universities network. Conferred an Honorary Doctor of Laws Degree by Brown University in Providence, Rhode Island, United States. Received Orden del Águila Azteca. Presented by President of México Felipe Calderón, Johannesburg, South Africa, 11 June 2010. On 10 December 2013, the amphitheatre of the Union Buildings in Pretoria was renamed the Nelson Mandela Amphitheatre. On 16 December 2013, a 9-metre-high (30 ft) bronze statue of Mandela was unveiled at the Union Buildings in Pretoria. A plaque was dedicated in Monument Park at Yankee Stadium to commemorate his 1990 visit. Nelson Mandela was posthumously inducted into the World Rugby Hall of Fame. A quote of Mandela's from 1991, “I cherish my own freedom dearly, but I care even more for your freedom,” is on a wall of the Contemplative Court, a space for reflection in the Smithsonian's National Museum of African American History and Culture; the museum opened in 2016. ^ a b "Illustrious alumni". University of South Africa. Retrieved 2 May 2013. ^ "Leeds shrugs off Mandela's 'snub' of first doctorate". London: The Telegraph. 8 May 2001. Retrieved 13 December 2013. ^ "The Mandela Particle is threatened". New Scientist. 7 August 1975. Retrieved 6 January 2017. ^ "National University Of Lesotho History". National University Of Lesotho. Archived from the original on 19 July 2011. 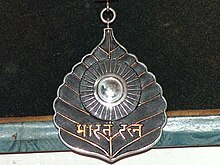 ^ "Jawaharlal Nehru Awards". Archived from the original on 31 March 2009. ^ Reddy, ES (July 1988). "Free Nelson Mandela – an account of the Campaign to Free Nelson Mandela and all other Political Prisoners in South Africa". ANC. Archived from the original on 3 July 2011. Retrieved 29 June 2013. In August 1981, the City of Glasgow awarded the Freedom of the City to Nelson Mandela. ^ Wheeler, Brian (6 December 2013). "Nelson Mandela death: UK streets named Mandela". BBC News Magazine. Retrieved 13 December 2013. ^ "Bruno Kreisky Preis für Verdienste um die Menschenrechte" (in German). ^ "1981 Nelson Mandela". kreisky.org. Retrieved 13 December 2013. ^ a b c d e f g h i j k l m n "Turn left at Nelson Mandela". 13 December 1985. ^ "ILO 225th Session Geneva" (PDF). February – March 1984. Archived from the original (PDF) on 17 September 2016. Retrieved 1 September 2016. ^ "International Simón Bolívar Prize Laureates". UNESCO. Retrieved 1 September 2016. ^ "Nelson Mandela Tributes: National Honours". Nelson Mandela Foundation. Archived from the original on 1 October 2016. Retrieved 27 September 2016. ^ "Two Anti Imperialists Honour Nelson Mandela". Sechaba. December 1984. Archived from the original on 27 January 2010. ^ a b c "Nelson Mandela death: Edinburgh vows tribute". The Edinburgh Evening News. 6 December 2013. Retrieved 6 December 2013. ^ "Nelson Mandela Sports Festival". BBC News. August 2007. Archived from the original on 3 February 2013. Retrieved 3 February 2013. ^ "Archivo Disarmo Golden Doves for Peace" (PDF). ^ "Prizewinners of the Félix Houphouët-Boigny Peace Prize". UNESCO. ^ Goode, Jo-Carolyn (6 December 2013). "Nelson Mandela Received Honorary Degree from Texas Southern University". Texas Style Magazine. Retrieved 14 December 2013. ^ "Mandela in Pakistan". The Independent. London. 3 October 1992. Retrieved 8 May 2010. ^ "Statement on the Ataturk Award given to Nelson Mandela". 12 April 1992. Archived from the original on 9 December 2013. ^ "'President Mandela seeks support from UK universities', Oxford University Gazette, vol. 126, no. 4409 (25 July 1996)". Archived from the original on 25 February 2007. Retrieved 24 July 2008. ^ "The Battle of Adwa and the Victory of Adwa Centenary Medal". ^ Balbir, Nalini. "Ahimsa Day". JAINpedia. ^ a b c "Serafimerringning i Riddarholmskyrkan för Nelson Mandela den 15 december" [Seraphim ringing in the Riddarholmen Church for Nelson Mandela on the 15th of December] (Press release) (in Swedish). Stockholm: Royal Households of Sweden. 11 December 2013. Archived from the original on 15 December 2013. Retrieved 12 December 2013. ^ "Serafimerorden". Archived from the original on 15 December 2013. Retrieved 13 December 2013. ^ "Gandhi-King Award for Nonviolence". The World Council for Religious Leaders. Archived from the original on 23 May 2010. ^ "No. 55843". The London Gazette. 9 May 2008. p. 5076. ^ "President Honors Recipients of the Presidential Medal of Freedom". Washington, DC: The White House. 9 July 2002. Archived from the original on 2 August 2002. Retrieved 3 July 2013. ^ Philip Matier & Andrew Ross (20 September 2004). "Oakland project: boon or boondoggle? / Mandela Parkway may draw builders -- or more troubles". San Francisco Chronicle. Archived from the original on 3 February 2013. Retrieved 30 January 2013. ^ "Nelson Mandela comes to NUI Galway" (PDF). Ollscéala. National University of Ireland, Galway. July 2003. Archived from the original (PDF) on 2 April 2012. ^ "35 Heroes of Freedom". Reason. December 2003. Retrieved 30 December 2006. ^ a b "Remembering Nelson Mandela". British Red Cross. 6 December 2013. Archived from the original on 12 December 2013. Retrieved 6 December 2013. ^ "Nelson Mandela Square - The Launch". 31 March 2004. Archived from the original on 6 April 2005. ^ Stengel, Richard (2004). "Nelson Mandela: He Has Never Stopped Learning". Time. ^ "Nelson Mandela Investiture" (PDF). 23 November 2004. Archived from the original (PDF) on 13 June 2011. Retrieved 28 April 2008. ^ "Nelson Mandela receives top Africa Scout Award". Archived from the original on 27 September 2011. Retrieved 22 June 2012. ^ Hendrixson, Brent E.; Bond, Jason E. (2004). "A new species of Stasimopus from the Eastern Cape Province of South Africa (Araneae, Mygalomorphae, Ctenizidae), with notes on its natural history" (PDF). Zootaxa. 619: 1–14. Retrieved 26 May 2008. ^ "Open University honours remarkable achievements of Nelson Mandela". 5 February 2004. Retrieved 25 June 2013. ^ "Amherst College Honors Nelson Mandela". Amherst College. 12 May 2005. Archived from the original on 19 September 2006. ^ De Klerk, F.W. (18 April 2005). "Nelson Mandela: Seizing the Historical Moment". Time. ^ "Heroes of our time". New Statesman. 22 May 2006. ^ "Nelson Mandela to become Amnesty International "Ambassador of Conscience"". Amnesty International. 19 September 2006. Archived from the original on 9 November 2006. ^ "Mandela meets Manchester United". BBC. 19 July 2006. ^ "UiTM Confers Honorary Doctorate On Nelson Mandela". BERNAMA News. 9 November 2006. Archived from the original on 14 July 2011. ^ "Mandela statue finally gets London go-ahead". Reuters. 20 April 2007. Archived from the original on 4 April 2008. ^ "Mandela honorary citizen of Belgrade". B92. 15 May 2007. ^ "Mandela, Koonin to be recognized at MSU commencement for global contributions". 18 April 2008. Archived from the original on 24 July 2008. Retrieved 19 April 2008. ^ a b "УКАЗ № 201 ОТ 12 ЮНИ 2008 Г. ЗА НАГРАЖДАВАНЕ НА Г-Н НЕЛСЪН МАНДЕЛА, ПРЕЗИДЕНТ НА РЕПУБЛИКА ЮЖНА АФРИКА В ПЕРИОДА 1994 - 1999 Г., С ОРДЕН "СТАРА ПЛАНИНА" ПЪРВА СТЕПЕН" (in Bulgarian). ciela.net. 24 June 2008. Archived from the original on 12 December 2013. Retrieved 11 December 2013. ^ Torney, Kathryn (1 July 2008). "Mandela to join QUB's honorary graduate list". Belfast Telegraph. Retrieved 27 September 2016. ^ "ESPY awards, 2009". Retrieved 11 November 2009. ^ "UN gives backing to 'Mandela Day'". BBC News. 11 November 2009. Retrieved 11 November 2009. ^ "Nelson Mandela Receives Honorary Degree from Queen's University". 18 December 2010. Archived from the original on 24 October 2010. Retrieved 18 December 2010. ^ "Nelson Mandela Accepts Honorary Doctorate Degree from Six Institutions in the Laureate International Universities Network". Thaindian. 7 May 2010. Archived from the original on 25 March 2012. Retrieved 12 May 2010. ^ "Nelson Mandela Receives Honorary Degree in Absentia, One of Eight Recipients". 30 May 2010. Retrieved 31 May 2010. ^ "Canada presents Nelson Mandela with the Queen Elizabeth II Diamond Jubilee medal". Archived from the original on 22 June 2013. Retrieved 27 June 2013. ^ Mataboge, Mmanaledi (10 December 2013). "Zuma renames Union Buildings amphitheatre to honour Madiba". Mail & Guardian. Retrieved 16 December 2013. ^ "Zuma unveils bronze statue of Madiba in Pretoria". Mail & Guardian. 16 December 2013. Retrieved 16 December 2013. ^ Waldstein, David (8 December 2013). "Mandela, Self-Declared Yankee, Gets Plaque in Monument Park". The New York Times. ^ Keyes, Allison (2017). ""In This Quiet Space for Contemplation, a Fountain Rains Down Calming Waters"". Smithsonian Magazine. Retrieved 10 March 2018. ^ "A VERY STRANGE PERSON INDEED". Tanzanian Affairs. 1 May 1990. Retrieved 16 December 2013. This page was last edited on 15 April 2019, at 04:51 (UTC).